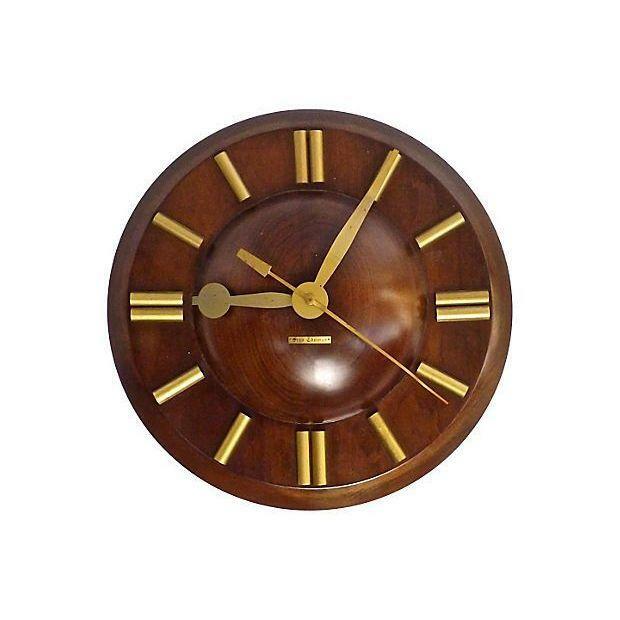 - This vintage, Mid-Century modern, wood and brass, wall clock with plug was designed by Seth Thomas. - It features a half round wood center with curved brass hands and simple gilt painted wood bar numbers. - Overall, this clock is wired, working, and in very good condition with some surface wear. Marked "Seth Thomas" on a small brass plaque at the center. 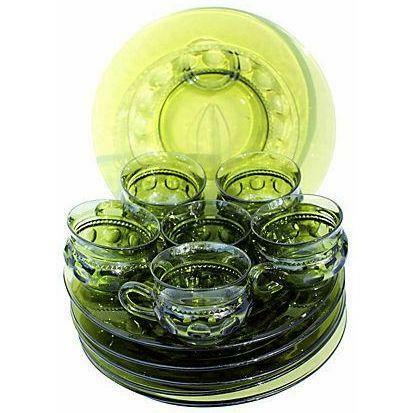 - Service for six from the Indiana Glass Co.. This Kings Crown Thumbprint luncheon set includes cups and dinner plates. - The dimensions of the plates measures: 10.5" diameter; cups are each 2.5"H x 3.4" diameter. - The entire set of 12 pieces is in excellent vintage condition.